Not All Home Staging Companies Are Created EQUAL. Fine Redesign Home Staging & Decor Inc. is an international award winning Home Staging and Interior Design company with a proven track record of success. 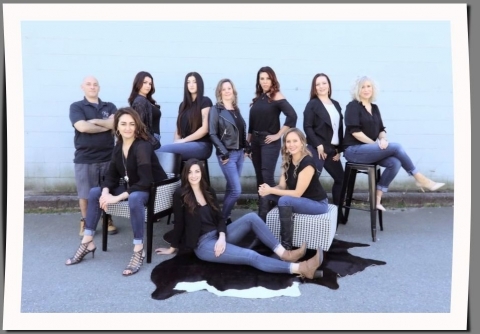 Since 2007, we have successfully staged, decorated and redesigned over 4000 homes throughout the Fraser Valley and Greater Vancouver areas and established ourselves as a leader in the local staging and design industry. With a recently expanded warehouse and showroom we now store over 8000sf in rental furnishings and accessories. Located in the commercial hub of Langley, we are ideally situated to service clients in the Fraser Valley and surrounding Greater Vancouver area. At Fine Redesign, we offer a wide selection of on trend furniture and accessories - made available exclusively to our designers - to compliment any size and type of property. We also work with local area furniture companies to accommodate the level of our volume and the variety of needs our projects require. Our pricing is competitive and our staff is professional, energetic, efficient and friendly. We are fully incorporated, insured and licensed. You can rest easy knowing that your home and contents is in the capable hands of a team of professionals fully insured and covered by Worksafe BC. Meet the talented Design Team behind Fine Redesign. Contact us today and schedule your staging/design consultation.